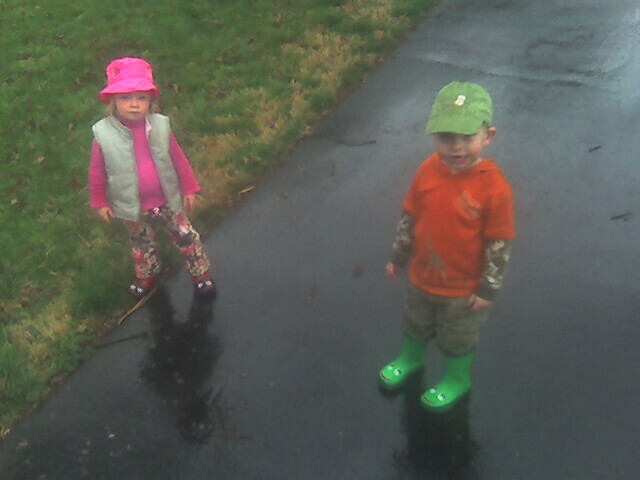 Ben and Fiona love the rain. Hi Graeme I have spoken to Shire of Waroona Fire Co-ordinator team and your President Timmins aadlery! We have a fully furnished 3 x 2 Home vacant at present available for any local in need of short term accommodation (term to be discussed) as a result of the bushfires. We will be down on Sunday 16/Jan/2011 if anyone would like to inspect or discuss further. Best wishes to all! Hi John,I found your website while doing some reacsreh on the Netgear SC-101 (old piece of hardware I have sitting around), and while going through your archives a found in your April 2009 you mentioned that you were using Linode' as your web hosting.If you dont mind me asking you a few simple questions about Linode, I would be very great full (as my current hosting Dreamhosts' has finally peed me off)?1) Do you still use them? If yes, are they any good and what's the service like?2) Would you recommend them, especially as I would be after a hosting package in the UK (and as most of the big boys don't allow she'll access, and customisation of applications etc. )3) Have you ever had problems with network speeds, slow server, downtime?4) What package would you recommend?5) Do they allow you to have your own Apache, MySql, Mail, PHP program's running.6) What's there backup procedures like.And input you might have would be great fully appreciated.Thanks very much.AndyP.S. Great web site by the way, and very informative.